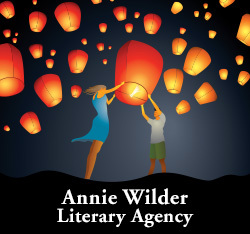 In addition to writing books and hosting haunted tea parties and other spirit-themed events at my home through Annie Wilder’s Spirited Schoolhouse, I worked for thirteen years as a copywriter at Llewellyn, the world’s oldest and largest publisher of metaphysical books. Every day, I got to read manuscripts on topics ranging from tarot and astrology to witchcraft and magick to faeries, UFOs, and reincarnation. I still do freelance writing for Llewellyn, so between my house, my work, and haunted events, I’ve read a lot of fascinating stuff and heard a lot of weird stories. My second book, SPIRITS OUT OF TIME, is a collection of true family ghost stories. Some of the stories go back four generations, and include Irish family lore about banshees, the little people, and the death knock. One of my favorite accounts is from my German great-great grandma who lost five children in five years, and saw a star “fall over the house” each time she lost a child. It is my hope that sharing my family’s experiences will help illuminate some of the mysteries of the spirit world. My third book, TRUCKER GHOST STORIES, is a collection of true ghost stories, unexplained or paranormal encounters, and haunted legends and lore of the road. The stories are primarily from truckers or those associated with truckers and the transportation industry — diesel mechanics, trucking company security guards, truckers’ ex-wives or ex-girlfriends. It includes stories of encounters with a ghost rider on old Highway 666, phantom trucks and trains, soldiers lost in time, UFOs, roads that don’t exist (at least in our dimension), a prom girl ghost in Alabama, a demon in Texas, and a shadow person in Charlotte, among other tales. TRUCKER GHOST STORIES also features some haunted highway stories from non-truckers that made the cut because they’re great stories. These true first-hand accounts reveal the very scary, very strange things taking place on seemingly ordinary nights while driving deserted highways, back roads, and byways — and maybe, somewhere near you. I collaborated with my dad and my great aunt Clara for my fourth book, BOOTLEGGERS, BLOODY TOWN AND DEEP CREEK: TRUE CHILDHOOD STORIES. This collection of short humorous essays features my German great grandparents, William and Edyth Foltz (Clara’s parents) and small town life in Henderson, Minnesota in three different eras of the 20th century. This collection features many photographs and is available exclusively in e-book format. Annie Wilder is the author of three popular true ghost story books and the co-author, with her dad and 97-year-old great Aunt Clara, of an e-book collection of humorous family stories involving her German great-grandparents. Annie hosts haunted tea parties and other metaphysical events in her spirit-filled Victorian home nestled in the historic Mississippi River town of Hastings, Minnesota. She has been a guest on the acclaimed radio programs Coast to Coast AM with George Noory and Darkness Radio with Dave Schrader and on Jim Harold’s Paranormal Podcast, one of iTune’s most popular ghost-themed podcasts. Annie has appeared on the Biography Channel show My Ghost Story and the Discovery Channel/Destination America program Monsters and Mysteries in America. Her ghost experiences have been featured in national print and online publications including FIRST for Women magazine and AOL.com. 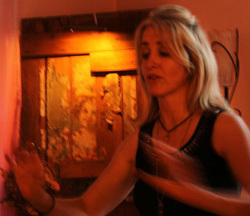 Annie’s home has been investigated by teams of ghost hunters, and visited by a number of prominent psychics including Linda Drake, Jodi Livon, and Echo Bodine.